The Escape is equipped with special side panels designed to support side sleeping. Its Therapeutic Z-z-zone™ center section aids in proper neck extension while back sleeping. 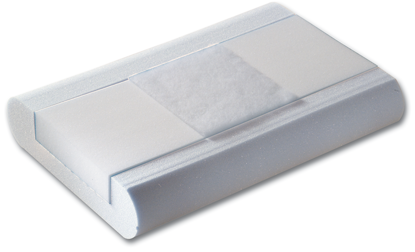 This pillow, part of our Sleep Cycle System™, is ideal for patients with whiplash and tension headaches. Also available is the Escape™ Petite and Escape™ Grand.